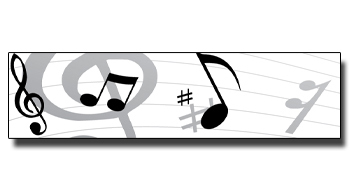 Musical notes and symbols embellish this designer tape. Apply directly to photos or music sheets. Jazz up all your crafts.